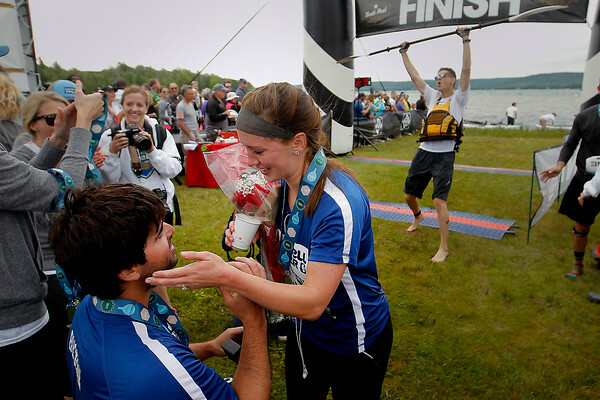 Weston Buchan of Traverse City proposes to Colleen Wren at the finish of Saturday's M22 Challenge near Glen Arbor. Buchan, who finished ahead of Wren, waited at the finish line with the ring. "She should have beaten me, but she has been treating an injury," said Buchan, who said he had been planning the proposal for about 6 months. "I didn't know what I was going to do if she beat me."